One of the highlights of our latest National Park adventure was taking a hike on the Skyline Trail at Mt. Rainier National Park. When my family travels to National Parks we typically target a major hike to take in order to experience all that the parks have to offer. We have gone on many memorable hikes already including the Emerald Pools Trail at Zion National Park, the Delicate Arch Trail at Arches National Park, and the Stony Man Trail at Shenandoah National Park. 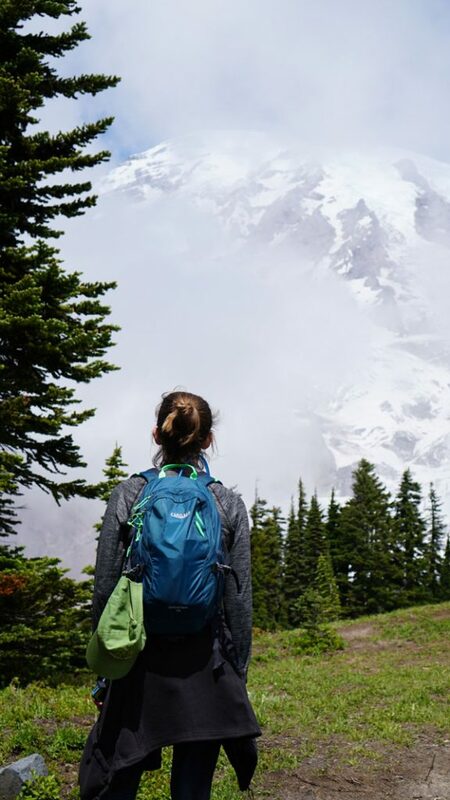 When we made plans to visit Mt Rainier National Park, our 68th National Park unit, all our research pointed us to take the Skyline Trail to see the most iconic views of the park. 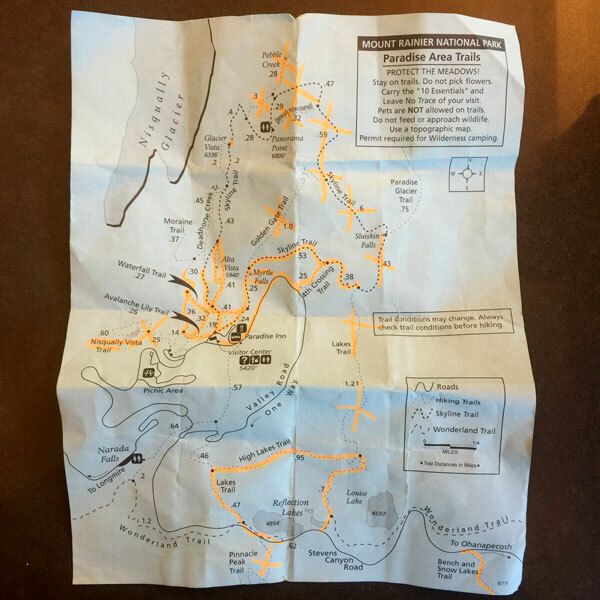 We quickly realized, however, that there are some things to know when planning, preparing, and hiking this trail. First, take a look at some of the video I took while hiking this amazing trail. Now check out some of my favorite pictures from the hike! 1. Get there early to get a parking spot. The trailhead of the Skyline Trail is behind the Henry M Jackson Visitor Center in the “Paradise” area of the park. 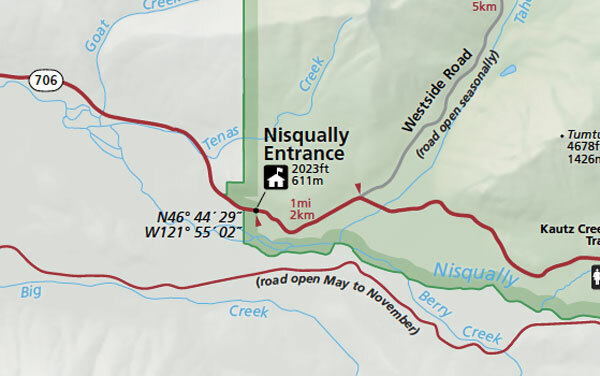 The best way to get to this visitor center is to enter on the west side of the park through the Nisqually Entrance. Getting to this visitor center requires a number of hairpin turns as you drive up the mountain. During our visit, there was construction on a small stretch of the road so it required some additional time. In all it took us about 45 minutes to get from the Nisqually Entrance to the Henry M. Jackson Visitor Center. 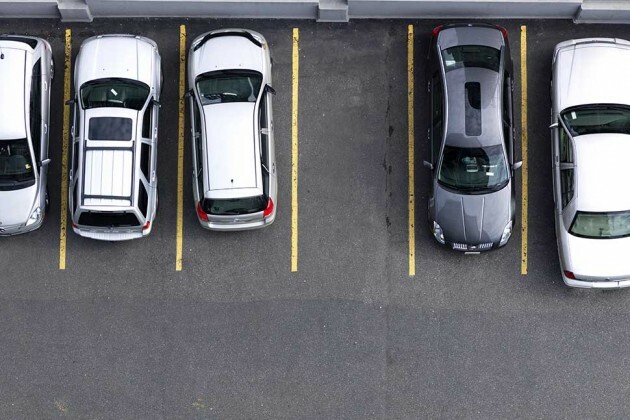 All of the research I conducted pointed to 10:00 AM being the real cut off point for available parking spaces. We arrived right around 10:00 AM on a Wednesday and almost 3/4 of the lot was full. By the time we finished unpacking the car, loading up our backpacks and out of the bathrooms, the lot was full. Pro Tip: I recommend not stopping at any of the lookout points and head straight to the Henry M Jackson Visitor Center and do not arrive later than 10:15 AM to be safe. You will not find stacks of trail maps on the counter of the Visitor Center. You must wait in line to speak with a Park Ranger in order to get yourself a copy of the blue Trail Map. This is by design. Trail conditions change day to day and sometimes hour to hour so the Park Rangers want to ensure no one goes on the mountain without talking to them first. This was especially fortunate for us as I had big plans to hike the Skyline Trail a certain way. But after my wife spoke with the Park Rangers, we learned that parts of the trail were snow and ice covered and other trails were completely underwater. Pro Tip: Budget at least 15 more minutes to speak with the Park Ranger. With such drastically changing trail conditions it could mean the difference between an enjoyable experience and a dangerous one. 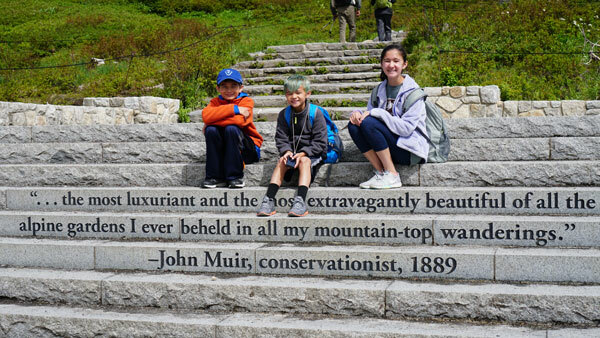 At the start of the hike there is an engraved quote by Conservationist, John Muir in the steps and it is a perfect place to take a photo. The trail leading up the mountain is at an extreme angle highlighting Mt Rainier at the top. You can grab a fantastic picture right away. Believe me, this will be just the first of hundreds of amazing pictures you will take during the hike! Pro Tip: Even if it is crowded, wait and take this picture at the beginning of the hike not the end. The sun is better for the picture in the morning and you will be sweatier and not in the mood to pose for a picture afterwards. 4. Use the bathroom before starting! There are no bathrooms up the mountain except a squat toilet (think hole in the ground) all the way up at Panorama Point of the trail. The majority of hikers (including us) will not hike all the ay up there anyway. Therefore, it is important to use the facilities before starting your journey! 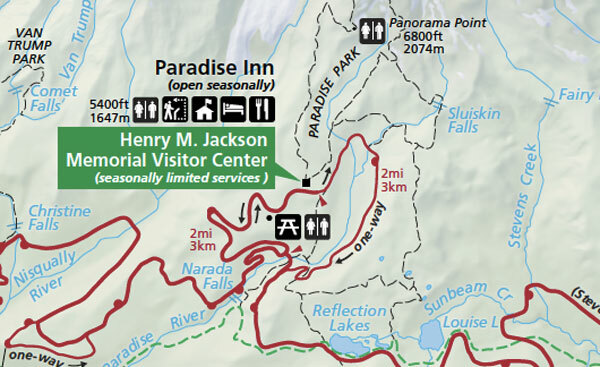 There are 3 sets of bathrooms near the trailhead: At the Henry M Jackson Visitor Center, across the parking lot outside the Hiking Permit Building, and at the historic Paradise Inn. Pro Tip: The Visitor Center bathrooms are arguably too small for the amount of traffic this location receives. But the bathrooms across the parking lot is only 50 yards away and rarely busy. 5. If you don’t like the view, wait a few minutes! One of the biggest learnings we gained from hiking the Skyline Trail is that the weather changes minute to minute! At one point we feared we were hiking in fog the entire way up and then the fog rolled out and we saw bright blue sky and a clear view of the snow capped Mt. Rainier! Another byproduct of this changing weather pattern is the need for a lot of light layers to put on and take off as you venture up in altitude. 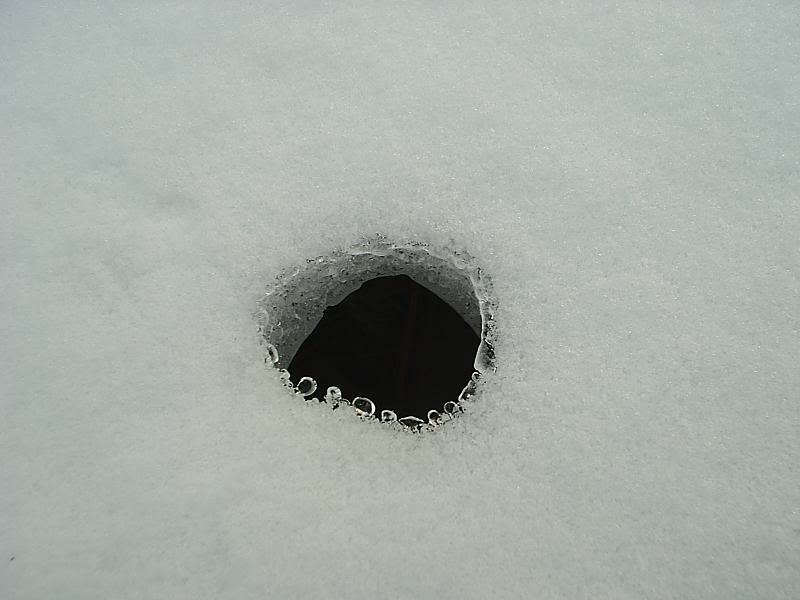 If you hike higher than the snow line you will need ice picks and hiking poles. You would also be in a snow jacket, hat, gloves, and pants. 30 minutes prior you may be in shorts, light jacket, and nothing else. We hiked up to Glacier Vista and could not see the Nisqually Glacier. We were not able to stay longer than 15 minutes as we had to get back down the mountain but a mere 10 minutes down the mountain we looked back up and saw that the view of the glacier was clear. Patience is key. BONUS: Here are a few more tips! • The gift shop at the Paradise Inn is far superior to the bookstore on the second floor of the Visitor Center. • The theatre in the visitor center has very limited seating with chair backs. To get a prime seat you need to sit in the back. • You can eat at the deli in the Visitor Center but for just a couple of bucks more per person you can eat at the Paradise Inn Dining Room. Of course, the cheapest way to eat is to pack your own lunch! • There are a ton of marmots on the trail. They are super cute and are not bashful. 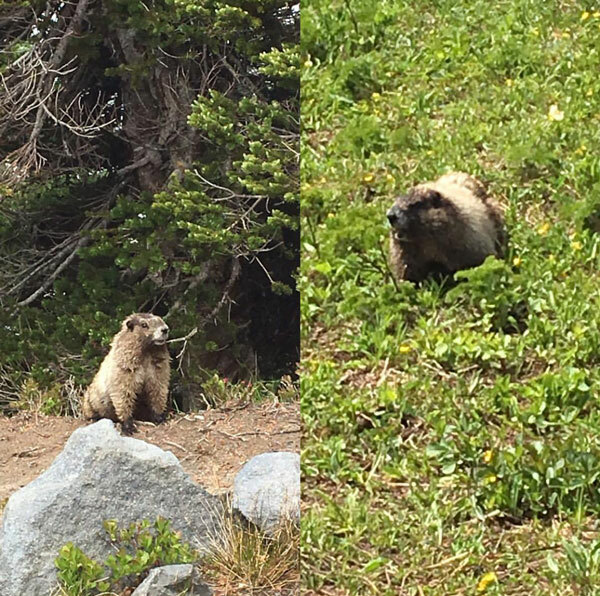 Check out the pictures my son took of the marmots we saw on our trail! Take lots of pictures but please don’t feed them. • The National Park Passport Stamps can be found on the bottom level at the left side of the Park Ranger counter. The Skyline Trail at Mt. Rainier National Park is one of the prettiest hikes my family has ever taken. 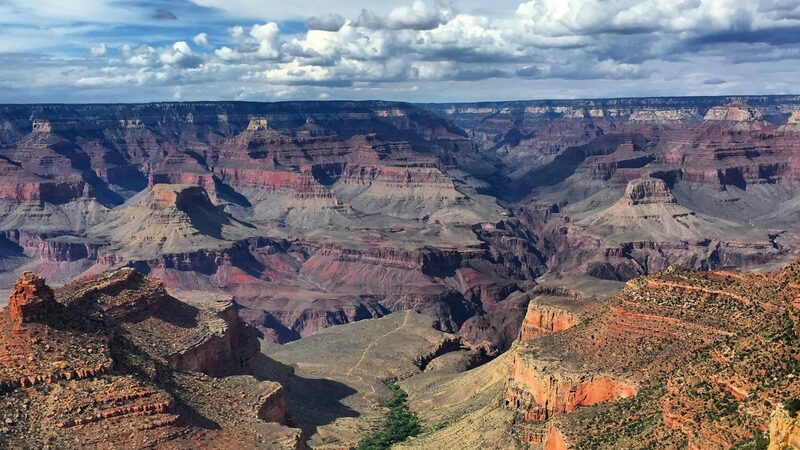 It offers spectacular views that truly highlight all the park has to offer: meadows of blooming wildflowers, waterfalls, glaciers, snow covered trails, and wildlife. 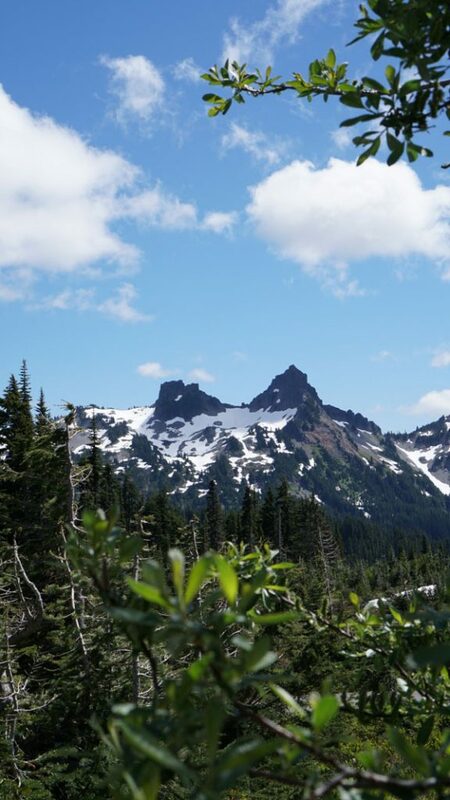 If you only have a day at Mt Rainier National Park I highly recommend you spend it going on this hike! Thoughts on skyline trail hike when 5 months pregnant? Whitney, Skyline is very rigorous with quick elevation gain. But…you can get good views after the first 30 or so minutes of hiking. Only your doctor can tell you for sure but I would say from a difficulty standpoint, you could handle the first part. Just not all the way around. Bring lots and lots of water. Thanks for all these great tips! Looks like there was still some snow on the ground during your hike. What month did you go to Mt. Rainier?